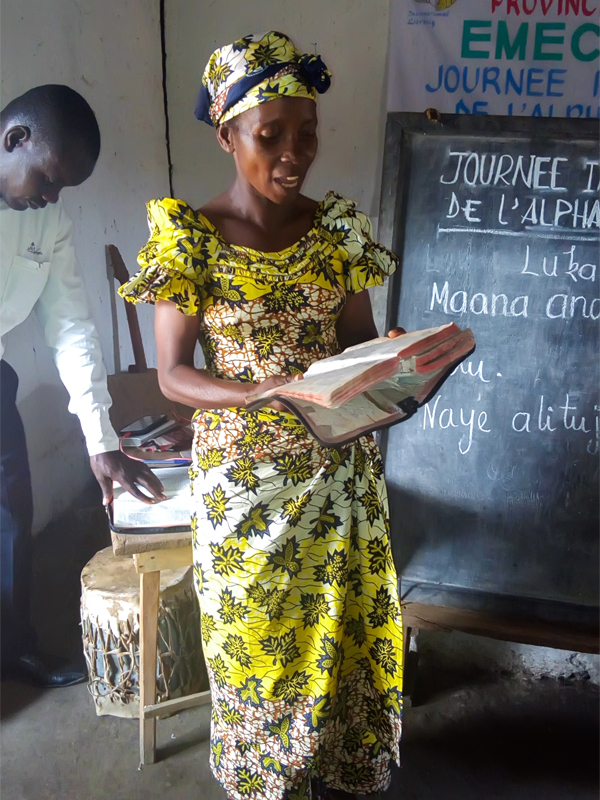 A new reader shares the lesson of the day from the Bible during an International Literacy Day 2017 celebration in the city of Uvira in South Kivu province of the Democratic Republic of the Congo. Bridge to Reading is the International Literacy Project of One Mission Society. Trainers, tutors and leaI-70rners across the world are teaching and learning literacy in local languages. We support tutors and trainers in Burundi, Central African Republic, Colombia and the Democratic Republic of the Congo. Our training materials for literacy tutors and leaders are available in English, Spanish, French, Swahili, Sango and Kirundi.